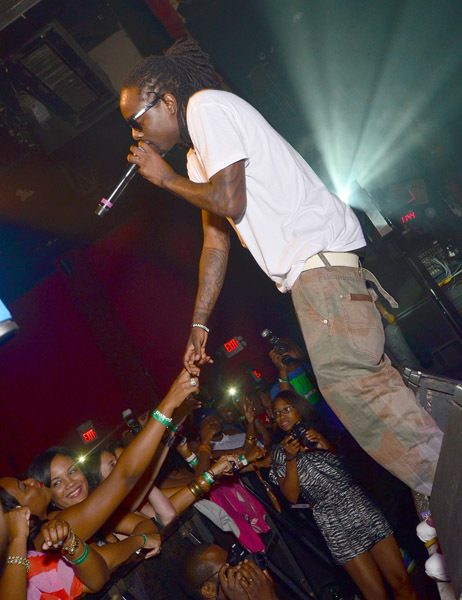 Thursday, August 11th, Wale took Philadelphia by storm. 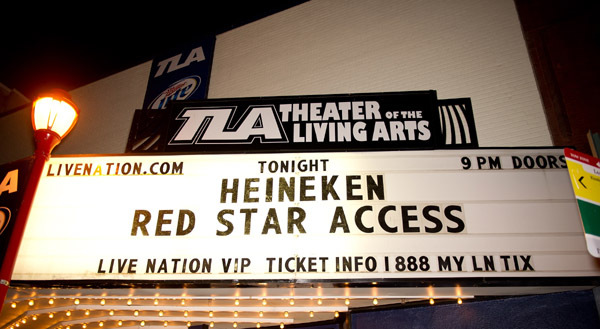 South Street traffic was nearly at a standstill as hundreds of people piled into the TLA to see Maybach Music Group's own hit the stage at the Heineken Red Star Access concert. Doors were slated to open at nine, but we all know these things never go 100% as planned. The line was sloppy but security was tight. 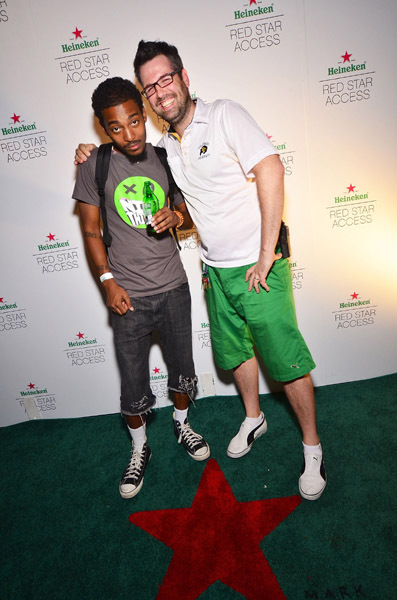 The entry procedure was simple: Heineken Greenroom members were allowed to RSVP for them and a guest. 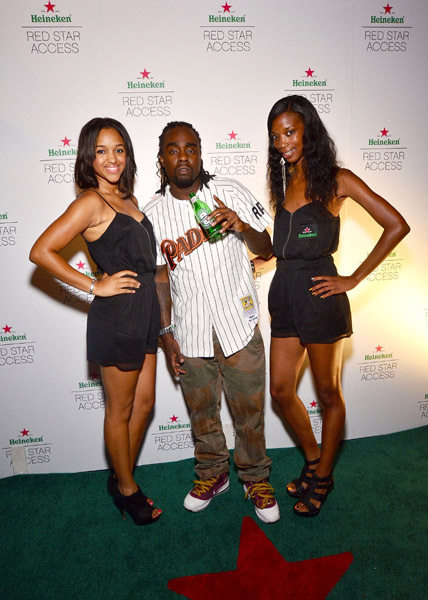 Aside from Wale, the talented DJ D-Nice, and host Rosa Acosta, the perks of this concert included free food and, yes, you guessed it, FREE HEINEKEN ALL NIGHT! 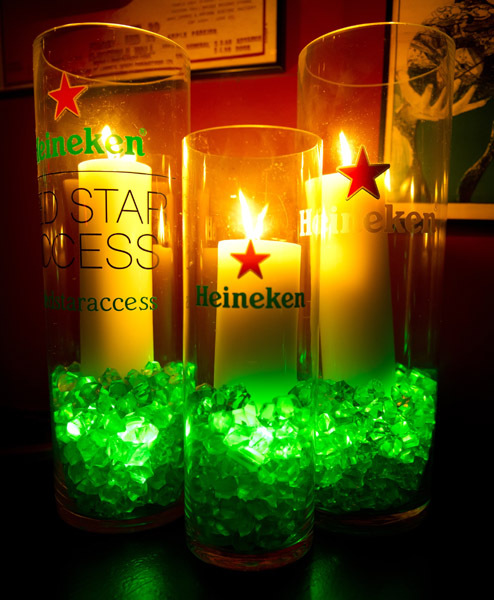 As we entered the venue, Heineken models were there on the 'green' carpet greeting us, ready to take pictures with the guests. DJ D-Nice kept us entertained with his set made up of old school and new school hits. If there's one area I had no complaints in, the music was it. DJ D-Nice did his thing and I think everyone who was there will agree with me. The flyer read that Def Jam's own Adrienne Bailon would be hosting the event. I know her as Chanel from the Cheetah girls but regardless she wasn't present; Rosa Acosta was the host in her place. I don't think anyone seemed to notice or maybe I'll simply speak for myself because I know I didn't notice. Twitter was in somewhat of a frenzy once the clock struck eleven and Wale still hadn't hit the stage. "Fyi..I wanna go on stage right now too" he tweeted at 11:02 pm.....I think people at home were more concerned than we were. 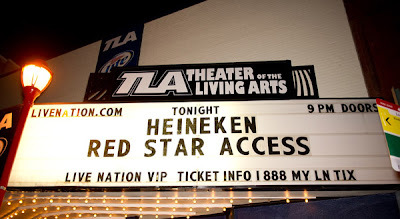 We had free Heineken and hoagies, why would we ever complain? He performed a lot of favorites and his energy was ridiculous. Then again after sitting idle for as long as he did I'd probably have a ton of energy too. He took us up and down, performing 'Diary' '90210' 'Nike Boots' 'Pretty Girls' and a few others including one of his newest singles 'Bait', which he predicted to be a hit in the clubs sooner than later. 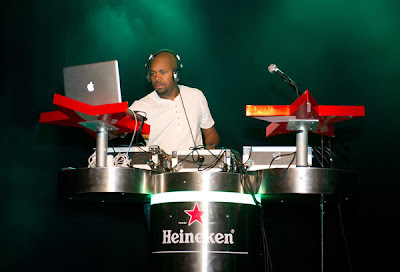 Much love to his DJ but if he had a Go-Go band with him the show would have been ten times more live! He had a lot of crowd participation and he was surprised they knew a lot of his newer tracks. He even jumped into the crowd twice! MMG and Philadelphia's own Meek Mill was in NY so there was no special appearance from him like many predicted. However, Wale did represent for his label mate and he encouraged the crowd to rhyme along with him to Meek's 'summer anthem' "I'm a Boss". And, although Meek wasn't one of them, there were a couple special appearances! Wale brought out Black Colbain, fellow DMV rapper signed to The Board Administration, which Wale co-founded. He also brought out Philadelphia's own Young Chris. Both special guests got the crowd going and I enjoyed the addition! It probably takes you more time to read this review than Wale spent on stage but the wait for the performance was worth it! 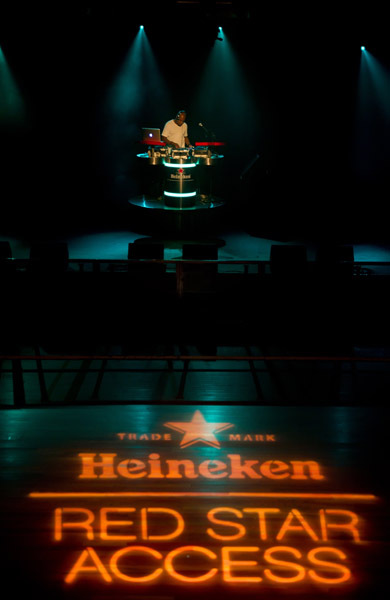 Plus I drank free Heineken while I watched one of my favorite rappers perform. Sounds like a good combination to me! More pix + video of the show below! Note: Photos not marked are via Wire Image.